Does Eating Carrots Keep Your Eyes Healthy? 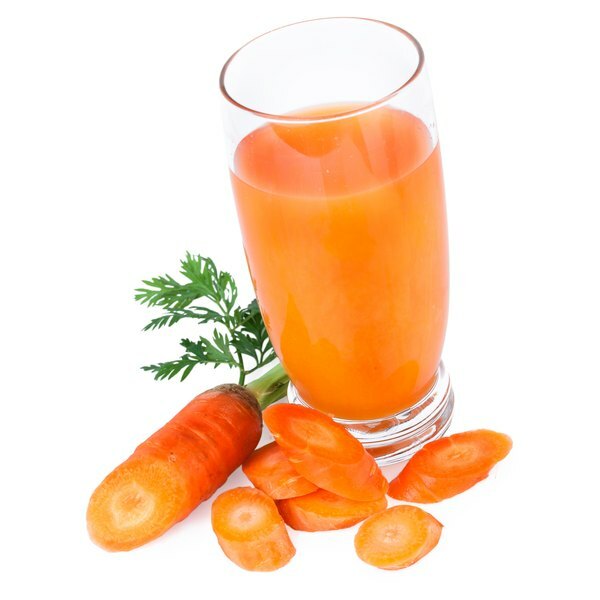 Can Beta-Carotene in Carrot Juice Damage the Eyes? Carrots have a reputation for helping your eyes, but eating carrots or drinking the juice will not improve your eyesight. However, beta carotene, a nutrient found in carrots and carrot juice may help prevent certain eye conditions. As such, the beta carotene found in carrot juice will not damage your eyes, but, instead, may offer benefits. Your doctor can help you determine how much beta carotene you should consume through carrot juice and other foods or supplements each day. An eye disease called macular degeneration affects the central area of the back of your eye, resulting in tissue damage that leads to vision loss. In 2001 the National Eye Institute released the findings of a study showing that beta carotene, when accompanied by vitamin E, vitamin C, zinc and copper, helps reduce the likelihood of advanced damage of macular degeneration by 25 percent. This shows that beta carotene does not harm your eyes, but may have important benefits in preserving your vision. The antioxidant properties of beta carotene found in carrot juice and other sources of the nutrient may also help reduce the incidence of cataract formation. Inside your eye you have a lens consisting of protein and water, and this lens refracts light onto the back of your eye, a vital process in vision. A cataract forms when the cells in the natural lens breaks down, turning the lens hard and opaque. Beta carotene cannot reverse this damage to the lens, but may help slow down the process or prevent cataract formation altogether. Beta carotene may also help prevent or treat other eye conditions such as retinitis pigmentosa and conditions involving the cornea. Although drinking carrot juice or taking other forms of beta carotene does not have any known harmful effects on your eyes, if you smoke, consuming high amounts of this nutrient could prove harmful. In fact, if you smoke and have a high intake of beta carotene you have an increased risk for heart disease and certain types of cancer. Before including large quantities of carrot juice or other sources of beta carotene in your diet, talk with your doctor. She can help you create an eating plan that will include carrot juice but that will also help you reach the necessary intake of other vitamins and minerals. Vision changes or eye conditions may not stem from carrot juice, but if you do experience changes, inform your eye doctor immediately.